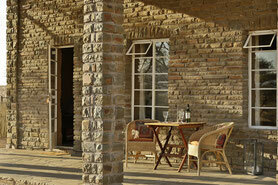 We are a small guest farm with eight large, cosy rooms for a total of 15 to a maximum of 21 guests. 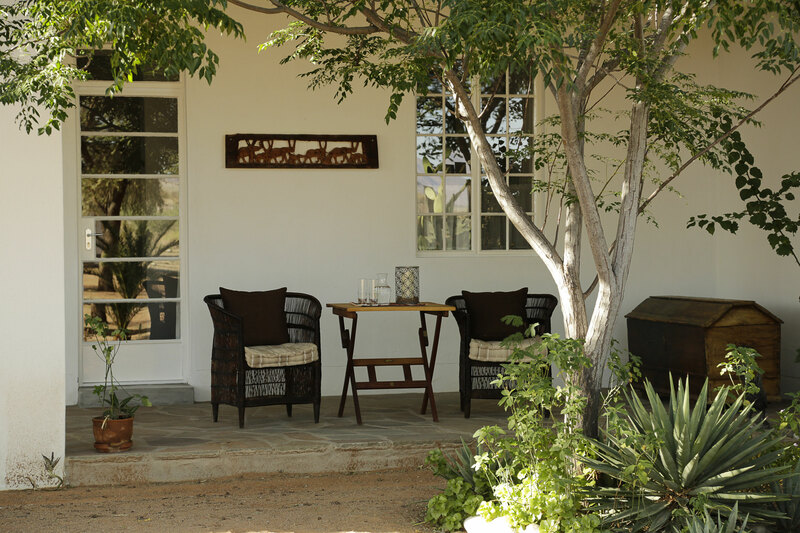 The standard and comfort rooms are located directly at the main house in the middle of our desert garden with pool and sun loungers. 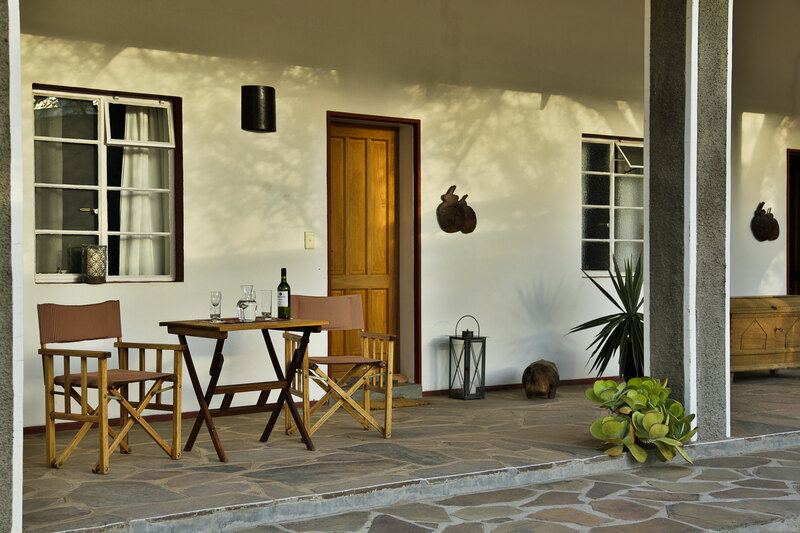 Three further rooms - the Honeymoon Suite and the Self-Catering House - are located idyllically on the Tsondab Rivier just 100-200 metres from the main building. 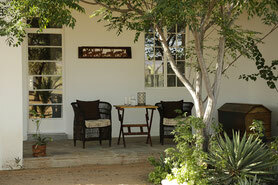 Two large comfortable rooms in our garden with nice bathroom, seating area and large veranda overlooking the houseberg. 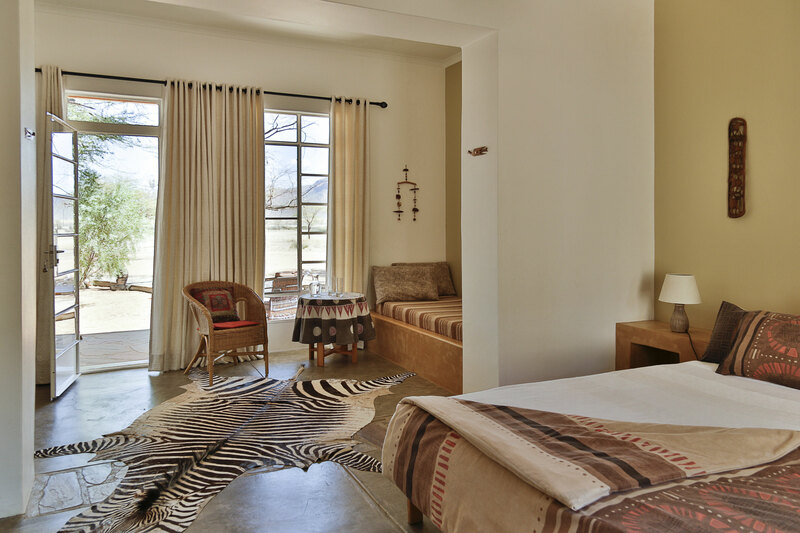 These rooms have air conditioning for the hot summer days and are very well suited as a family room. 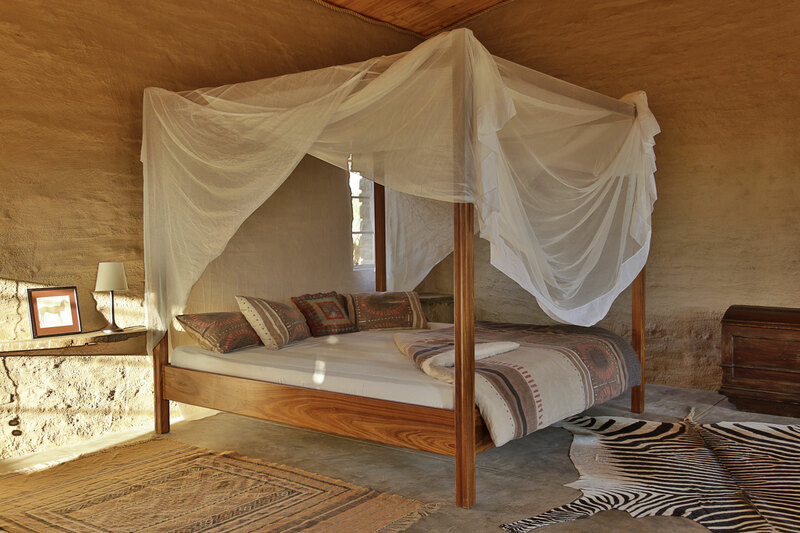 These can be used as double, triple or quadruple rooms. Experience Ababis virtually: If you click on the adjacent icon, you leave the Ababis homepage and a goggle page with a 360 degree view of the room opens. 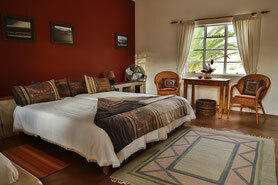 Two cosy double rooms with an extra bed and a nice bathroom, as well as a spacious veranda. The rooms are cosy and comfortable and equipped to feel good. 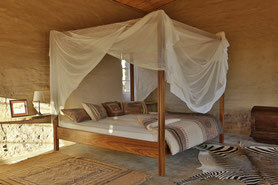 The rooms have an additional couch, which can also be used as a third bed. 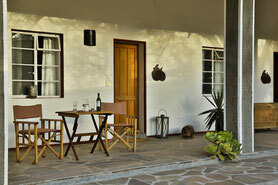 There is a ceiling fan for hot days and a veranda with a nice gardenview. 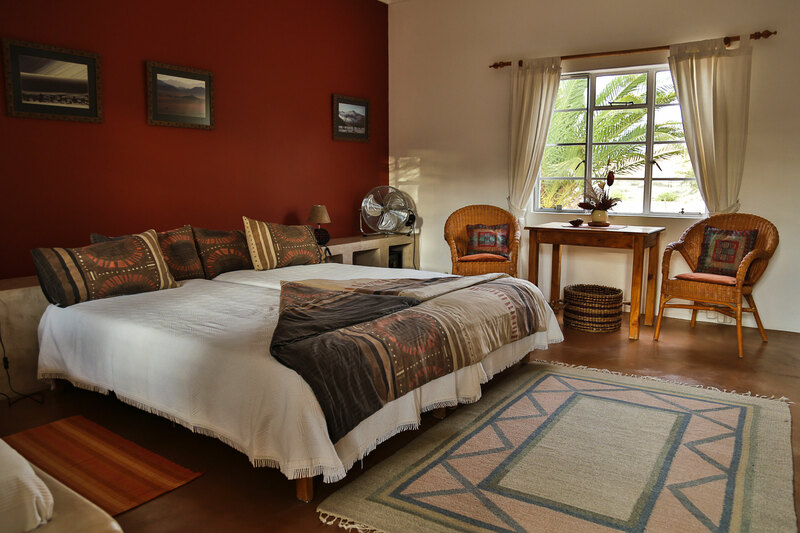 You will be completely independent in the romantic room with a large double bed, spacious bathroom, refrigerator and a sitting area for relaxation. 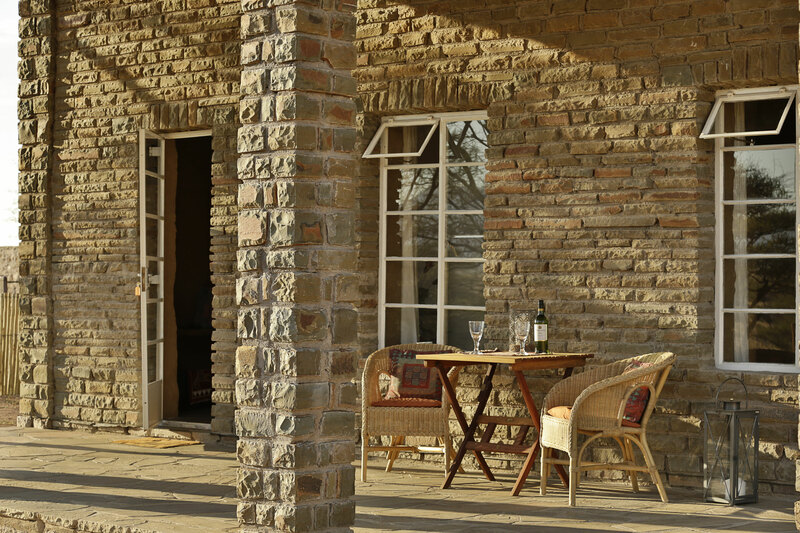 From the veranda you have a unique view of the Tsondab Rivier and the mountains of the Naukluft. Here you can really enjoy your holiday and relax.